Houston: A new Guinness Record for the world’s longest ice-cream dessert has been set in the US, where thousands of volunteers whipped up a dessert that stretched 1,386.62 metres. 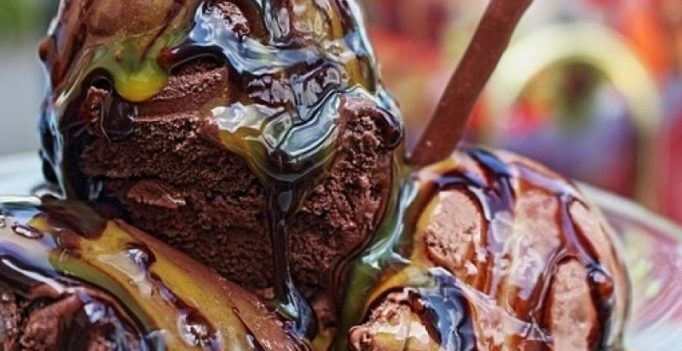 The giant sundae, created at the Spirit of Texas festival in the US, consisted of 500 gallons of vanilla ice-cream and candy crunch chocolate swirl. It was then topped with 300 gallons of chocolate and strawberry syrup, 2,000 cans of whipped cream, 25 pounds of sprinkles, and 20,000 cherries. Guinness World Records adjudicator Christina Conlon was present to ensure that proper guidelines were met, and that all ingredients connected throughout the line of dessert. Upon officially receiving their record certificate, the massive sundae was devoured in under 30 minutes by more than 4,000 festival attendees.